I learned how to make a pecan tart recipe many years ago; it came my way via a very nice neighbor. 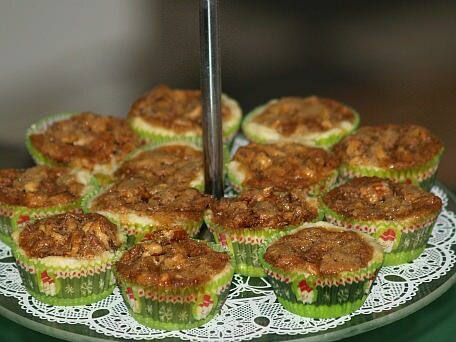 Some people may refer to these little tarts as pecan tassies; they are the same but just go by different names. I was to the point of having too many Christmas cookie recipes that I did not want to add any more. My neighbor kept encouraging me to try them. I really didn’t even want to taste them! 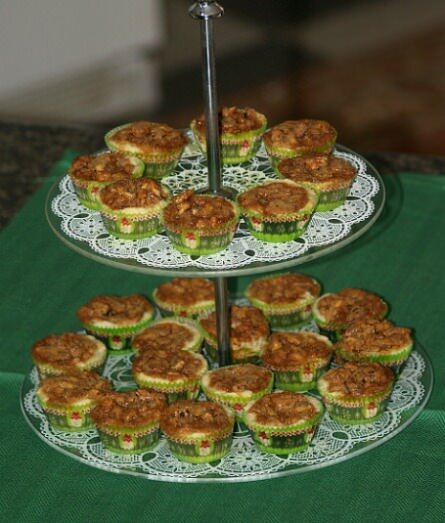 She said, “If you like a good pecan pie recipe you will love these.” I gave in and I did love the flavor so now, of course, they are on my holiday recipes list. There are several stories as to where the tart originated. It seems likely it could have been France coming from the word “tarte”. For us in the US, with all our sweet fillings, they are anything but “tart”. Most countries around the world have some form of the tart. The difference is in the crust and the filling. The crust can be found made of a simple pie dough recipe, sweet pastry dough, a shortbread recipe or puff pastry. Many fillings are used from egg, cheese, fruit, jams, jellies, custards or as this recipe, pecans. Mix all ingredients together. Chill dough until firm. Shape dough into 2 dozen balls. 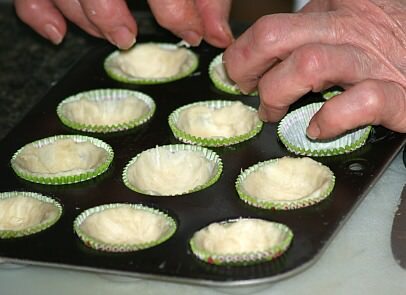 Press the dough into the bottom and on the sides of miniature tart pans. Beat together the egg, brown sugar, butter, vanilla and salt. Line each pastry lined tart with a few pecan pieces and then fill with the creamed mixture. Top each with a few more pecan pieces. Bake for 25 minutes and then cool. I learned how to make this pecan tart recipe and it is among my favorite Christmas cookies recipes. Combine and mix ingredients for tart shells; shape into 1 inch balls. Press each ball in the bottom and up sides of ungreased miniature muffin cups. Spoon about 1 teaspoon pecans into each shell. Combine and mix brown sugar, butter, vanilla, salt and eggs. Spoon about 1 ½ teaspoons mixture over the pecans in each shell. Bake 20 to 25 minutes or until crust is light brown and filling is set. Cool 5 minutes in pan; remove tarts from pan and cool completely. When I learned how to make this pecan tart recipe I found it also very good made with a coconut recipe adding candied fruit. Blend together shortening and flour; add enough water to make a dough. Divide into 24 balls; press each into the bottom and sides of ungreased miniature muffin cups. Mix nuts and coconut; place about 1 teaspoon of mixture in each cup. Divide chopped candied fruit among each cup. Combine and beat sugar, corn syrup, melted butter, salt and egg. Spoon 1 ½ teaspoon mixture over the fruit in each cup. Bake 20 to 25 minutes or until set; cool 5 minutes and remove from pan to cool completely. This pecan tart recipe is baked on baking sheets rather than the muffin tins; the delicious fudge filling is wrapped in dough before placing on tray. Sift flour and salt; cut in butter. Sprinkle in water and vanilla; mix to form soft dough. Divide dough in half; roll one half at a time to 1/16 inch thickness on sugar dusted surface. Cut dough in 2 ½ inch squares; spread 1 level teaspoonful filling in center of each square. Bring corners of each square together and pinch to seal; place sealed side up on ungreased baking sheet. Combine and blend all ingredients together thoroughly.